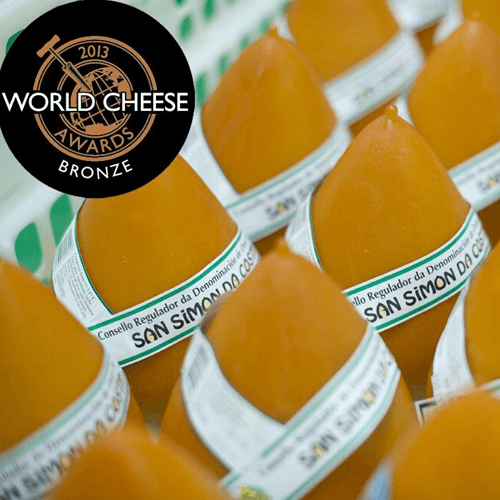 Cow cheese San Simón Da Costa is smoked cheese made in Queixeria Quesar in Sarria with milk of frisona, parda-alpina and rubia gallega cow varieties. 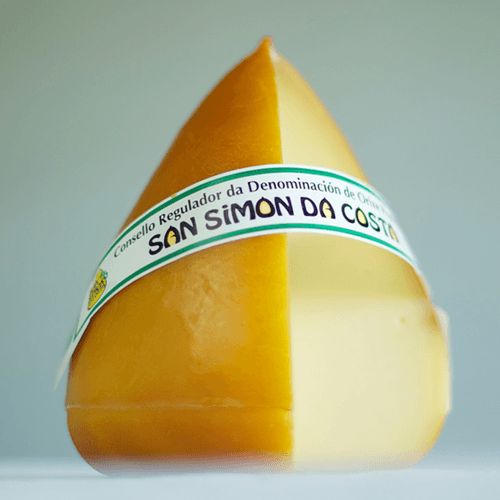 This cow cheese is under the certificate of origin San Simón da Costa; it is semi-hard paste cheese but it has creamy texture but not very greasy perfect for melt it. 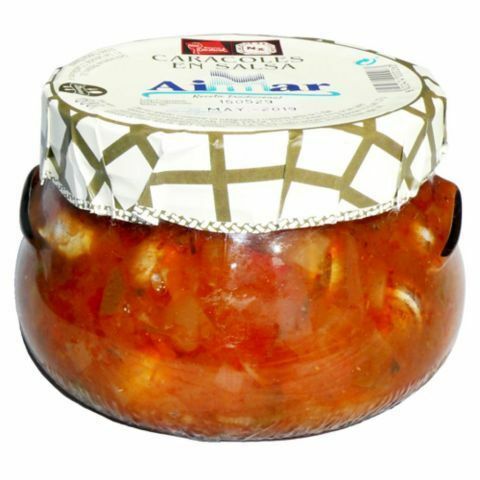 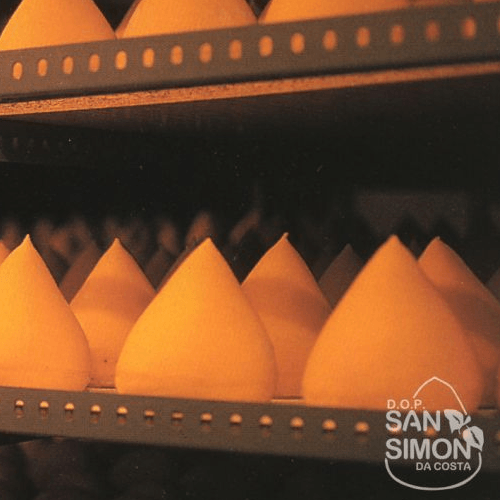 San Simón da Costa cheese is cured and smoked cheese with 45 days of maturation time. 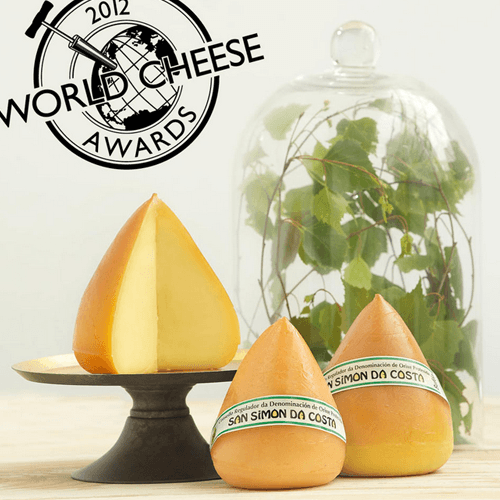 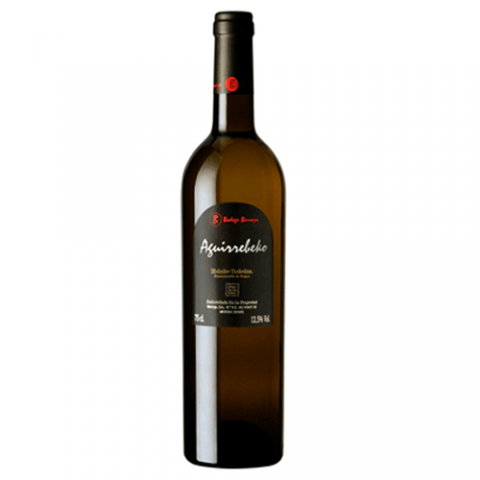 To taste this cow cheese, we recommend you to pair it with Rías Baixas Galician wine or with beer. 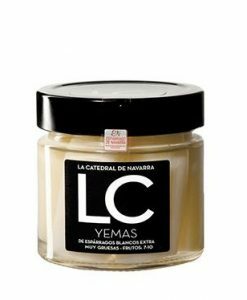 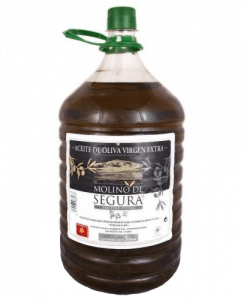 It is perfect to make different sauces for meat or fish due to its creamy texture.